Eeeeeek! Today I have a post for you that I hope will be a mini wake up call and be a catalyst for lots of action-taking in your business. Ready for some real talk? How long have you had creating a new website on your mind? A site you truly love. A site that actually shows off your business as the fab, unique unicorn it truly is. From the feedback I've heard from y'all, it's not unusual for you to have had building a new website hanging over your head for months, a year, or yes - multiple years! Ugh. Talk about not a fun thing to have hanging over you like a dark cloud for that long. Today, I want to encourage you to make building a new website that perfectly reflects your business and connects with ideal clients a top priority! How well is your website converting right now? First, I want you to look at how your current website is converting overall. Now there's lot of different pieces of conversion we can measure on our website. We can measure how a specific opt-in gift placement is converting. We can measure how a specific sales page or product is converting. These are just a few of the many, many bits of conversion you can measure. But because I know most of y'all are also service-based creative entrepreneurs, what I want you to do today is get super simple and just measure out of all the visitors coming to your site, how many are getting in touch and inquiring about your services? We'll call this your overall website conversion rate. Head into your Analytics wherever you track them (say in Squarespace, or Google Analytics). Write down your number of unique visitors per month. Then take a peek in your email to see how many booking inquiry forms came in in that same month. Write that down too. And now it's time to do the math! How is your conversion rate doing? ... Could be better? Read on! Now open up a new tab with your website open and take a moment to hop out of your own skin and into that of the person you would LOVE to work with who desperately needs the service you provide. Look at your site through new eyes, as them. I know this can be difficult because we're so super familiar with our website and are on the thing all the time, but give it a good college try. What are your first impressions? How trustworthy and legit does this website look? Is the design and style to your taste? Does the copy (words) on the site connect with you deeply? Do they speak to exactly where you are, the struggles you're having and the dreams you want to achieve? Are the service packages a perfect fit for what you need? Is it clear how to hire the person? 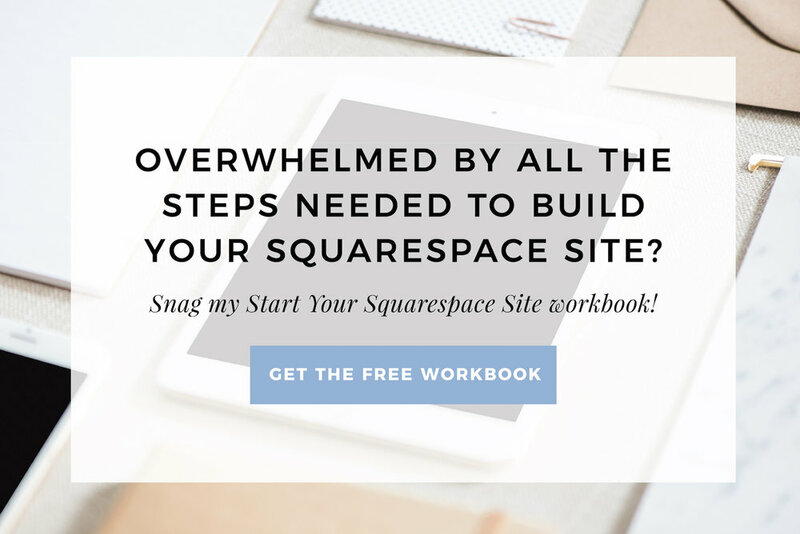 How easy has the site owner made it for you to take the first step towards working together? Is it even clear what you should do in order to start working together? Is it quick and easy to find the details on the specific service you're looking for? Does the site give you a feeling that the business is targeted and specific with what it does and/or who it serves? Okay, so now you know your conversion rate and have 'seen' your site through that ideal clients eyes, I have to ask this. What would a new and improved site mean for your business? How many more inquiries would you guess you'd be bringing in then? What would your overall conversion rate look like then? What do you think a well-converting website would be bringing in client-wise every month? 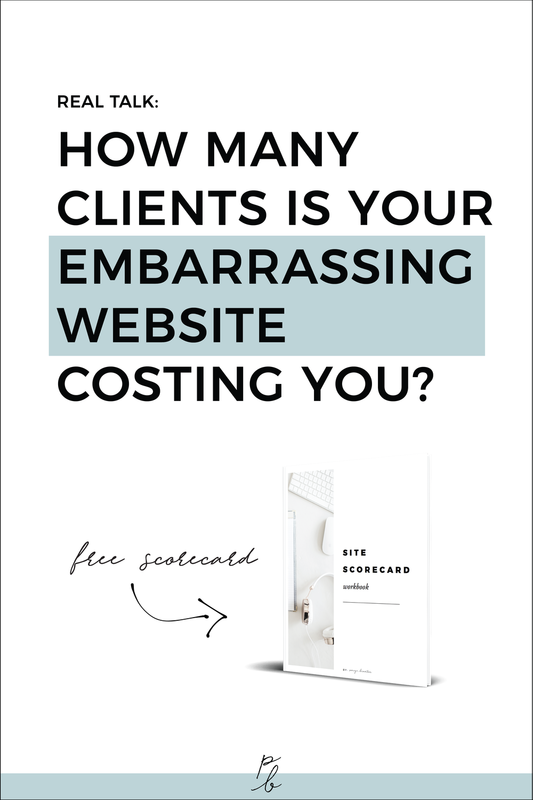 How many clients and how much money is your current site loosing you? Now, into the financial bit. What's a client worth to you? How much money does an average client bring in? What do they normally spend with you? Or if you're new to all of this and haven't booked a client yet, whats the middle of the road price for your services? Now, take however many more inquiries you'd guesstimate you'd get by how much a client tends to bring in in your business. Times that by 12. That's how much your bad website is costing you, every. single. year.